Today amounts to what is perhaps the biggest day in the YouTube calendar year, as the platform has just dropped its always-buzzy YouTube Rewind video, which is a sleekly-edited compendium (courtesy of digital studio Portal A) of the year’s biggest video trends. 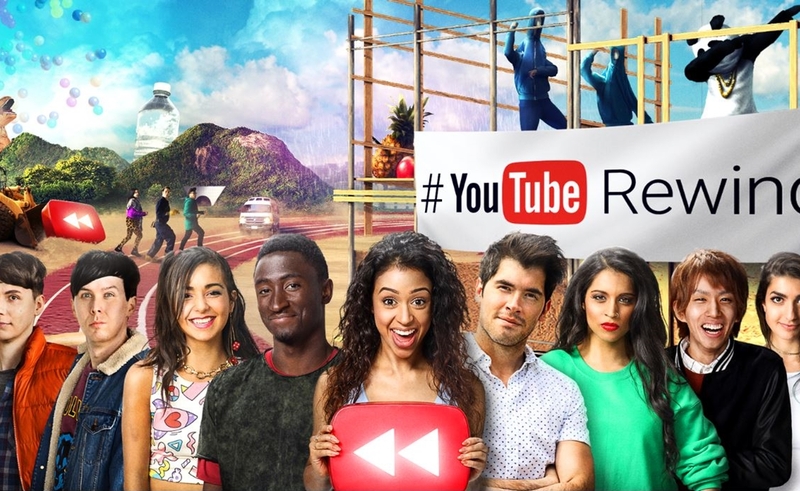 Chock-full of YouTube stars, celebrity guests, memes, and music, YouTube kicked off the Rewind initiative in 2010. This year’s video is themed Rewind Reality, in which a total of 200 creators discover a Rewind Button that has the power to transform their everyday lives into larger-than-life scenes inspired by YouTube. (Last year’s video featured 150 creators). The video is set to an original music composition by Major Lazer featuring remixed tracks from Justin Bieber, Ghost Town DJs, The Chainsmokers, Fifth Harmony, and Nicky Jam. Because of the jam-packed nature of the Rewind franchise, viewers tend to find themselves either delightedly spotting various Easter eggs or scratching their heads in utter perplexity. This year, for the first time, YouTube is offering a Rewind quiz about the creators and memes featured, and also providing an interactive guide that details the data, trends, and backstories behind each and every reference. YouTube began releasing full-scale productions for Rewind in 2012, and each clip has subsequently garnered more than 100 million views apiece. The 2012 iteration is currently leading the pack with 181 million views, while 2013’s video, titled What Does 2013 Say?, has 119 million views thus far. Rewind clocked 112 million views in 2014 and 107 million views in 2015.